The second quarter (Q2) is a transitional time of the year for me. Due to the nature of my job, my busy-season slows down by mid-to-late April and some semblance of normalcy returns to my routine/schedule. Because of this, most of the new releases during Q1 hits the perpetual back-burner until I can muster the willpower, energy and time to invest. This is also not even taking my immense backlog into consideration, which I continue to plug away at between the never ending onslaught of new releases. Needless to say, I always have a game to look forward to and that’s never a bad predicament to be in. If this were my backlog, I’d go insane! For many people, the summer was the best time of the year to tackle one’s backlog. Historically, many publishers waited until the fall/winter to release their new games, which would provide ample opportunity for those to play catch-up on key titles they may/may not have missed during the interim. Now that some publishers have wised-up (not all…), the release calendar is populated with interesting titles (mostly due to Indies) nearly every month of the year, including the summer, which wasn’t always the case in years past. Remember when people used to say that there’s a summer drought? Where are those people now!? Giant Sparrow has definitely made my list of Developers-to-Watch in 2017. I downloaded What Remains of Edith Finch on a whim, as I kept hearing nothing but great things about the Finch family and their cursed history. I initially only played the introduction sequence and one of the Finch’s backstories, however. I regrettably placed the game on my mental back-burner and did not return to the family’s horrific tales until a few weeks later. I ultimately decided to restart the game (as I was still relatively early on) and finished climbing the family tree in one unforgettable sitting. I don’t think I’ve ever played something quite like Edith Finch and I doubt I ever will experience a game like this ever again. On the surface, Edith Finch is just another walking-simulator. The player explores an abandoned house in search of clues regarding the untimely deaths of the family who once inhabited the grounds. It’s not made clear who the player is controlling at the start, either (although this aspect of the narrative is revealed at the end). If there’s anything Edith Finch does so brilliantly compared to its contemporaries, it’s the incessant reliance on playing with the user’s expectations. It’s difficult to describe the game without further spoiling the experience, so it’s best to witness the family’s unfortunate demise for yourself. Back in 2012, Giant Sparrow also released their first minimalist, story-driven adventure game, the Unfinished Swan. I recall playing through the opening chapter or two back on the PlayStation 3, but despite the game’s short length, I never did finish the game. After recently completing Edith Finch, I finally decided to finish the Unfinished Swan. Fortunately (or unfortunately), you don’t have to explore this entire hedge-maze. Giant Sparrow’s first swan-dive into the industry was an interesting, yet highly fulfilling experience. What began as a simplistic, paint-throwing adventure game, quickly evolved into a tale of a son who was trying to live up to (or maybe surpass?) his father’s ambitions/expectations. Each chapter presented the player with new gimmicks/mechanics, such as the ability to grow/create vines/platforms, respectively, in order to progress, which always felt fresh and unique. The pacing was great and the storybook-like nature of the journey suited the narrative extremely well. While the game was relatively short, there were hidden balloons to discover which added some nice replay value, too. 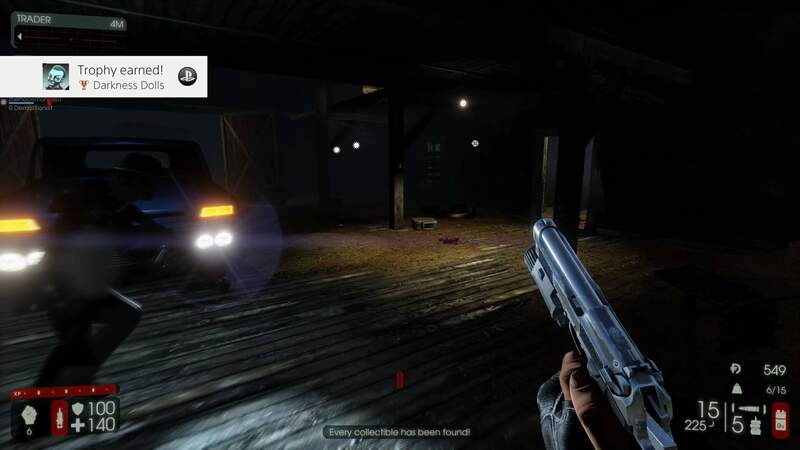 I completed the game with 100% of the Trophies unlocked in about 2-3 sessions. Don’t Forget to Pack Your Lunch! Do you remember carrying a lunchbox to school as a kid? Have you ever wondered what it would be like to open/play with one while you’re on psychedelic mushrooms? 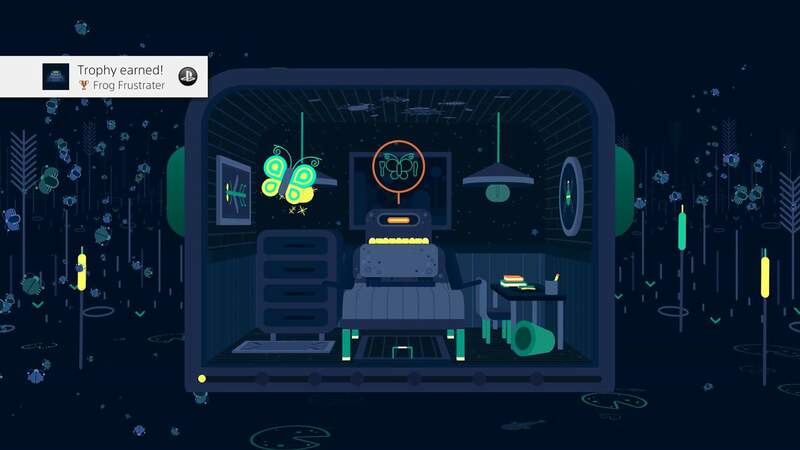 Well, look no further than GNOG, one of Double Fine’s latest additions to their ever-growing library of oddities. GNOG is more or less a point-‘n’-click adventure game where the player is nothing more than a cursor which fiddles with lunchbox-like objects until a “solution” is discovered. The game is highly audio/visual-based, as the solutions to most of the mini-puzzles present within these boxes require an astute eye for detail. I completed the game with 100% of the trophies earned, but it’s been the perfect morning coffee game to kick-off my weekends over the past month or so. Who were these people again? …and why were they in my picture? Little Nightmares has been one of my most memorable experiences of 2017. Developed by Tarsier Studios, Little Nightmares is a physics-based, puzzle-platformer where the player, donned in nothing but a yellow raincoat, takes on the role of a tiny child (or creature, perhaps?) named Six, as he/she/it struggles to escape a hellish nightmare onboard a vessel to god-knows-where. The game’s aesthetic is dark and depressing, yet beautifully disturbing at the same time, almost Tim Burton-like in presentation/style. The art-style and animations are top-of-the-class, too, as the studio was formerly a subset of Sony Interactive Entertainment (SCE) and had previously worked on such titles as Little Big Planet 3 and Tearaway: Unfolded. I’ve completed the main game and its first DLC, The Depths, and I’m ready for more nightmares! If there’s one game where I’d take a full-fledged sequel, it’s this game! This guy woke up thinking it was still the weekend… little did he know it was Monday morning. NieR: Automata, Yoko Taro’s next installment in the ongoing Drakengard/NieR saga, has graced our scorched earth in 2017 and I’m finally making my through this epic, post-apocalyptic, sci-fi masterpiece. Without spoiling too much, Automata is a game about the struggle between androids/machines and what it means to be human. The two factions battle each other endlessly in an ongoing battle in order to coexist while the last bastion for humanity awaits patiently on the moon. The rest has to be experienced for yourself as the devil is in the details. It’s nice to finally see one of Taro’s beautiful creations paired with a competent developer, however. In the past, Taro’s games have been compromised due to the development studios involved (such as Cavia Inc. and Access Games Inc.), so to have a developer (Platinum Games Inc.) properly leverage Taro’s unique vision is a sight to behold. I’ve currently completed “Route A” and I’m making my way through the rest of the story. Housemarque, a Finnish developer best known for Super Stardust HD and Resogun, continue to deliver technically-sound, competent arcade-shooters with their latest game, Nex Machina. As someone who’s been a casual fan of their previous work, Nex Machina is the first game from the studio to completely resonate with me on nearly every level. Nex Machina is essentially an overhead, on-foot run & gun variant of Resogun. It’s a chaotic score-chasing game where the incentive is to perform better, maintain a multiplier and ultimately become skillful enough to 1-credit clear (1CC) the game. The voxel-powered effects/explosions are incredibly satisfying to behold and the general feedback and gameplay-loop make for one difficult game to put down. I completed the game on Experienced, but plan on attempting a 1CC in order to achieve the true ending. You can’t see it, but this is actually a picture of sweaty palms and an increased heart-rate! Poi, developed by PolyKid, is a love letter to Super Mario 64. Poi is probably one of the most competent 3D-platformers from an independent studio I’ve ever seen, actually. Triple jumps, dives, and the notorious sideways-somersault are all present (although, they don’t feel as finely tuned as the iconic Italian plumber’s move-set, obviously). The structure of the game also follows Nintendo’s legendary 3D-platformer to a tee, with objective-based scenarios scattered across various themed worlds (there’s even an identical “star” select screen at the start of the stage accompanied by a panoramic view of the area, just like in Super Mario 64!). The game’s art style is generally nice, inoffensive and colorful, too, despite being somewhat generic and uninspired. Unlike Yooka-Laylee, my expectations were exceeded from what I’ve played. 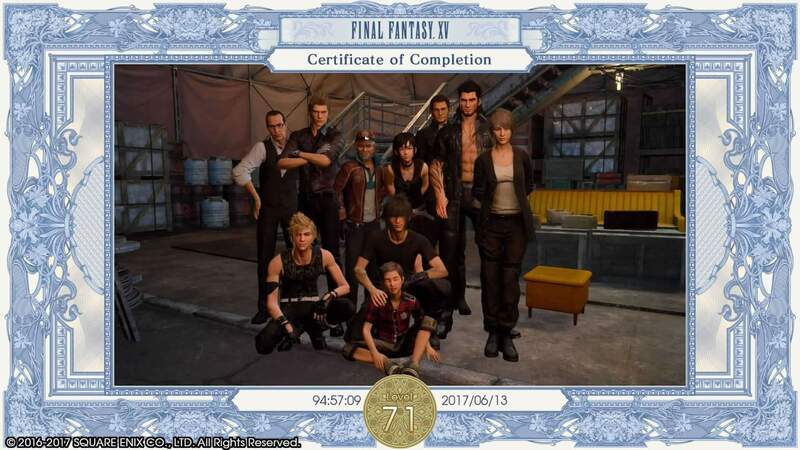 Now that I’ve completed the game, I’ll certainly be looking forward to this team’s next project! Before Uncharted and The Last of Us, there was Crash Bandicoot. Crash Bandicoot: N. Sane Trilogy is an HD re-master of the original three games developed by Naughty Dog. As someone who played the original trilogy extensively (100% with all Platinum Ankhs), it’s been a very interesting experience revisiting these classics. I’ve been slowly and methodically playing the first game and I have more or less adjusted to its “antiquated” design, as so many have took issue with. Platformers from this era were my bread and better during my adolescence, so the difficulty does not come as a surprise to me. I do not, however, recall there being time trials in the original Crash Bandicoot. Attempting Platinum Ankh runs in the first game is incredibly challenging, but it’s a feat I’m willing to achieve! Killing Floor 2 has probably been my most played PlayStation Plus game to date. I’ve exclusively been playing the game with friends and it’s been our go-to game when we need to turn our brains off, chat and kill hordes and hordes of House of the Dead rejects. As someone who’s never played the original game (but is familiar with Left 4 Dead), the shooting mechanics feel tight and the head-pops and other visual effects (such as the slow-motion/bullet time effect during what appear to be trigger by critical hits) are satisfying and rewarding. The game could use a unique boss for each map, but hopefully the studio will continue to support the game. Currently, there’s a summer themed event taking place until early August, I believe. Finding the hidden collectables is almost as fun as the actual game itself. Friday the 13th: The Game is the funniest gaming experience I’ve had all year. I haven’t been driven to tears of laughter due to a game in quite some time. The very first session between friends had me nearly crying due to the ridiculous nature of the game and the hilarity that inevitably ensues between friends. Pitting the counselors against Jason was a brilliant idea for a cooperative multi-player game. The game isn’t perfect by any means and it’s riddled with bugs/glitches and balance issues, but despite the game’s inherent janky-ness (which is ironically charming, in a sense), you’re not going to find a more genuinely good-time among your gaming pals anywhere else. Here’s hoping the developer, Gun Media, continues to support this endless night of terror! The funnies faces you’ll see all year! Guaranteed! It’s interesting when a development team (Inti Creates Co., Ltd) can focus and deliver an experience without any major funding or unreasonable expectations of a legendary franchise hanging over their head… *coughMightycoughNo.9cough*. Mighty Gunvolt Burst, plain and simple, is the game Mighty No.9 should have been. Inti Create’s follow-up to their first, demo-like game, Mighty Gunvolt, on the 3DS/PC is both enjoyable and yet a reminder that a bloated, poorly managed Kickstarter project was completely unnecessary. Mighty Gunvolt Burst feels good, looks good and is focused and competent. The story is still somewhat of an incomprehensible mess (with internet memes a plenty…) and I don’t understand why Inti Creates insists on the up & personal “burst” mechanic as a gameplay-hook, but the good most definitely outweighs the bad here. If you’re looking for a decent Mega Man-like game, I’d safely recommend Burst! I know what you’re thinking! Get your mind out of the gutter! My Q2 was dominated by the likes of Final Fantasy XV and The Legend of Zelda: Breath of the Wild (for better or worse…), but since then I’ve been playing all sorts of new/interesting games. I will return to this space sometime after Q3 concludes! So, until next time!